It is rare to find a person who doesn’t have some memory of a Monarch Butterfly fluttering past them. 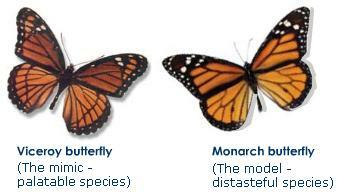 The Monarch is one of the most recognizable and iconic butterflies, and rightly so. It’s migration cycle is unparalleled in the migratory world. Below, you’ll find some essential facts to enhance your knowledge of the Monarch. Did you know? 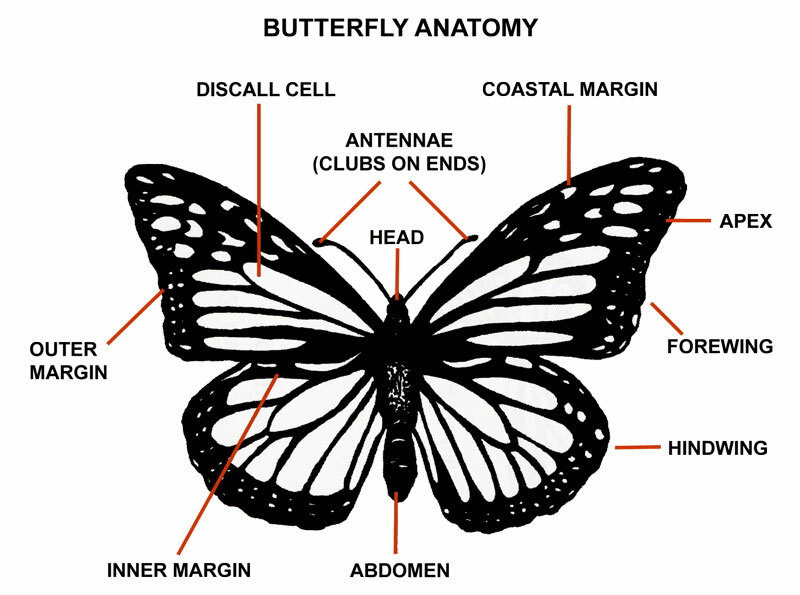 The Viceroy Butterfly has evolved to have a very similar color and pattern to the Monarch. Because the Monarch is distasteful and even poisonous (due to the poisonous milkweed it eats! ), predators stay away. The Viceroy is smart, then, to look like the Monarch, since predators stay away from them, too! Can you tell the difference? 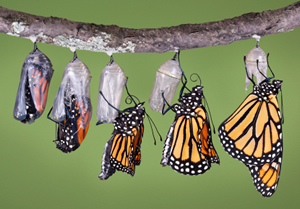 Like other butterflies, the Monarch goes through a series of developmental events in order to ready itself for flight. 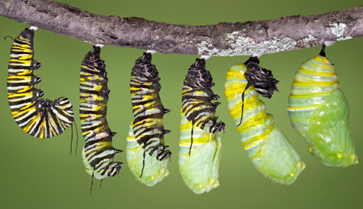 It takes about a month for a Monarch to grow from a tiny egg to a fully emerged butterfly! The larva is just as recognizable as the butterfly, with its brightly colored yellow and black stripes. Keep an eye out for butterfly milkweed with monarch larva crawling on it! The main motivation for this entire project comes down to this: the Monarch Butterfly population is declining at alarming rates. You might be asking yourself, “Why?” Good question! 1. Climate change, which affects everything, is also affecting the butterflies. Wildfires, droughts, floods. Just think, if it were exponentially hotter or colder when you planned to go for your morning jog, would you still go? Maybe. Now imagine that the jog was more than 1,500 miles? How about now? 2. Deforestation in Mexican forests. After you’ve made the 1,500+ mile journey across Canada and the United States, you arrive to the picturesque Michoacan mountains in Mexico, expecting a nice, relaxing winter at the one place every single one of your ancestors has wintered. But what’s this? Thousands of acres of these woods are simply no longer there. 3. Disappearing breeding habitat. Once the Monarchs start to thaw out (literally! ), they begin the trek north to pass along their amazing history to their future generations. They expect to be able to lay eggs on Milkweed plants all along the journey – in Texas, Iowa, Toronto, and everywhere in between – but lately, have found the plant destroyed. The main reason for this recent decline is because of the widespread use of glyphosates, like Roundup, which kills everything in its path except genetically modified crops (soybean and corn, mainly) immune to the deadly herbicide. Without milkweed along the way, adult monarchs have nowhere to lay their eggs. You might suggest they just lay the eggs elsewhere, but the milkweed plant is the only thing the baby larva eat to survive. The loss of the milkweed plant is detrimental to the survival of the Monarchs species on many levels. 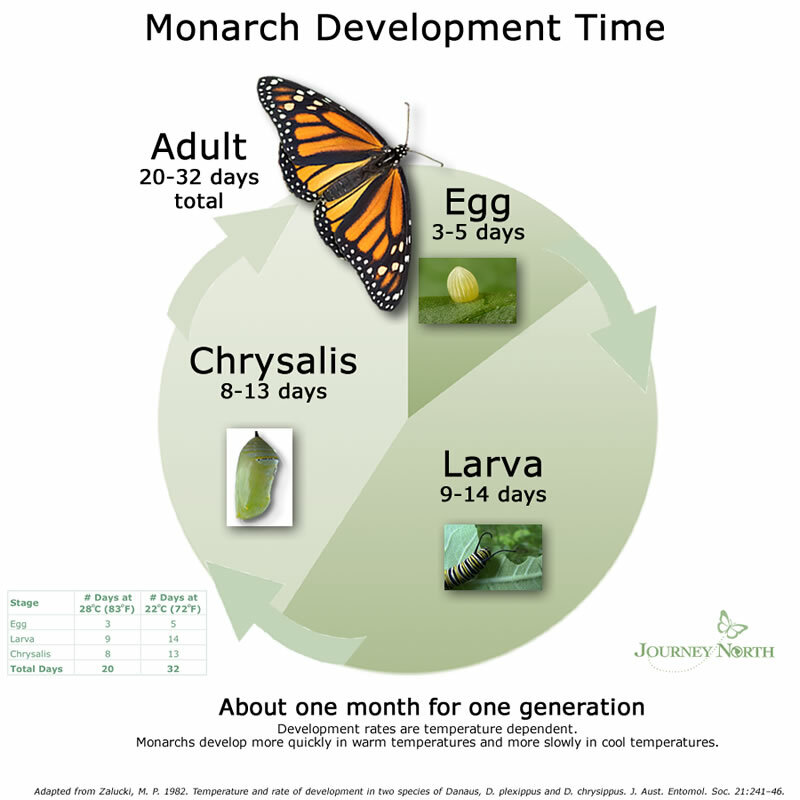 Other Web Resources: Learn more about the Monarch!